When does implementation research require ethics approval? Authorship: The following blog was written by Shannon King, a MSPH candidate at Johns Hopkins Bloomberg School of Public Health who has been volunteering with SISN. The information reflects the current views of ethics in implementation put forward in the peer-reviewed literature. Ensuring ethical standards are upheld is a core component of research within the scientific community. While ethical principles for clinical research have clearly been defined and regulated, implementation research (IR) presents its own ethical challenges that have yet to be fully comprehended and standardized. 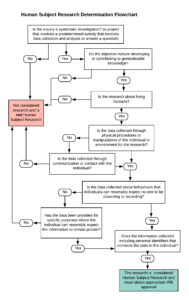 With the increasing burden on research ethics review boards, and the lengthy processing time for reviews (1,2), a clearer understanding of what data collection activities require review would help improve the efficiency of IRB committees and meet researchers’ needs to maintain ethical integrity. As highlighted in SISN’s Integrated Framework for Implementation Science in Nutrition, IR encompasses a broad range of research objectives from initiation and scoping through to studies that examine commitment, support, financing and sustainability of interventions, and, in some cases, assessments of impact. For each study design, and goal, the ethical considerations may vary and might require different regulatory procedures. This report is based on ethical legislation in the United States for research involving human subjects; and will need to be modified in relation to other national regulations. The primary concern of ethics review boards is to ensure the protection of human subjects through minimizing the risks placed on the participants. Researchers need to clearly understand, define and explain the risks related to the data collection to obtain appropriate ethical review. Some researchers have found it helpful to examine whether the questions being asked are “about whom” or “about what” (5). “About whom” questions focus on the participants’ opinions, characteristics or behaviours and as such are considered higher risk and require ethics approval. However, “about what” questions, that involve non-personal aggregated information, for example asking about the overall outcomes or use of an intervention by the target population in general, pose less risk to participants, and as such may be exempt from requiring ethics approval. Furthermore, there are several review exemptions for specific categories of human subject research, such as educational testing, observations of public behaviours, and research involving previously collected data, when the data collected cannot be linked back to the research subject (13). It should be noted that the intention to publish the results of a study is not a requirement for IRB review. However, many journals require authors to include a comment on the ethical considerations of the study and if it received a full, expedited, or exempt review by the local IRB. In order to maintain ethical integrity, all study protocols should uphold similar ethical standards regardless of if it is deemed to require a formal IRB review or not. Ethics approval should be obtained prior to commencing any stage of the research process and therefore it is important to initiate these steps early in the planning process (9). Have an idea or a comment on any of the issues discussed above? We welcome your feedback – you can comment on this post on our LinkedIn feed or write to us using the email address below. To learn more about SISN and become a member, please contact us via our website (www.implementnutrition.org) or can email us at implementnutrition@gmail.com.